The Misty cocktail blends the flavors of apricot and orange with just a hint of banana. 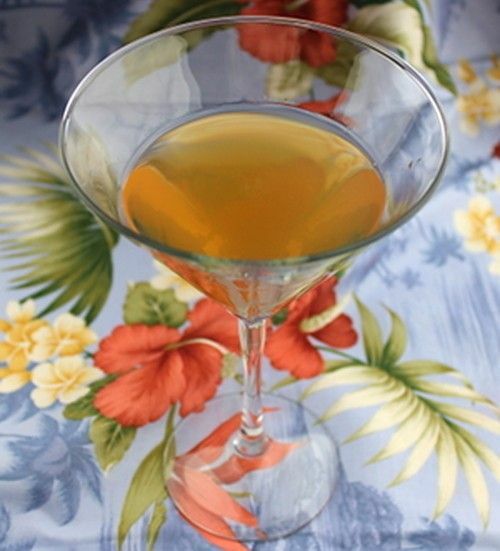 It’s sweet, mellow and fruity, and works best if you spend a little bit on the apricot brandy to avoid some of the really cloying sweet cheap stuff that’s out there. Even with a cheap apricot brandy, the Cointreau and creme de bananes bring this drink up a notch. Enjoy a Misty whenever you just want to kick back and chill out. Fill a mixing glass with ice and add the ingredients. Stir them well, and strain the mixture into a martini glass.